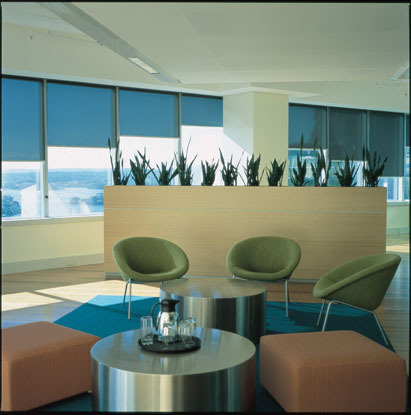 The 24-story tower at 321 Kent Street in the central business district of Sydney Australia, boasts an impressive tenant list, including prestigious financial and business concerns, as well as ground-level retail space. 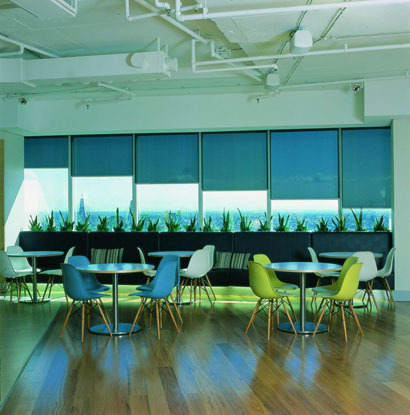 With more than 500 windows and a panoramic view of nearby Darling Harbour, the interior designers made window coverings a priority during a recent renovation. 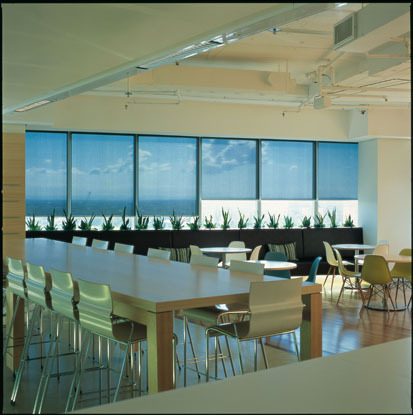 To provide a blend of unobtrusive style and easy, durable operation, they specified roller shades manufactured and installed by Luxaflex Commercial (an Australian division of Hunter Douglas). 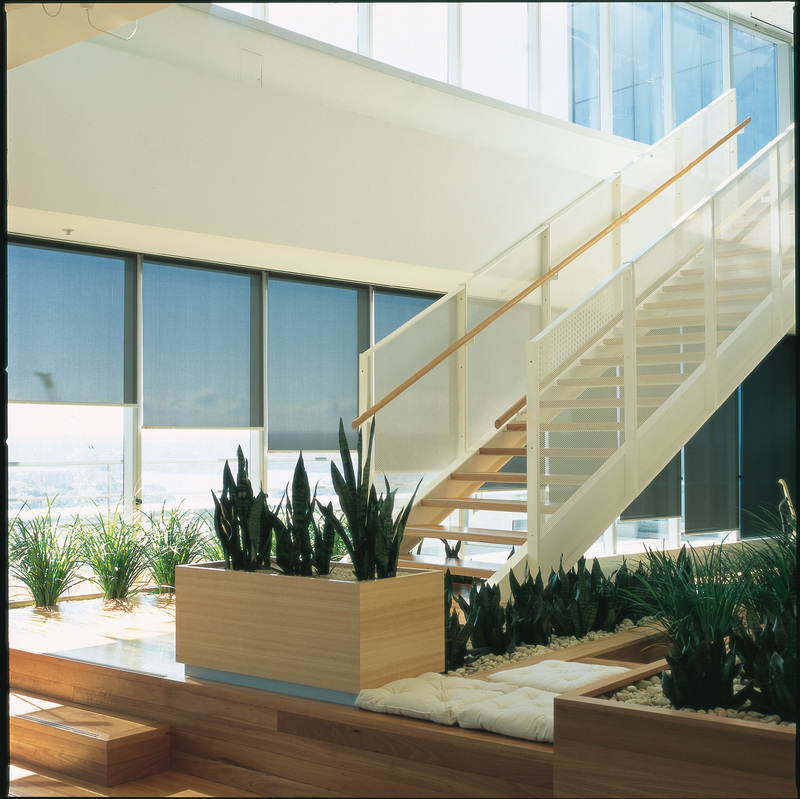 In a mezzanine setting with access to ample natural light, designers used translucent shade fabric to reduce glare entering the contemporary, open-plan offices, which feature an integrated kitchen and café. 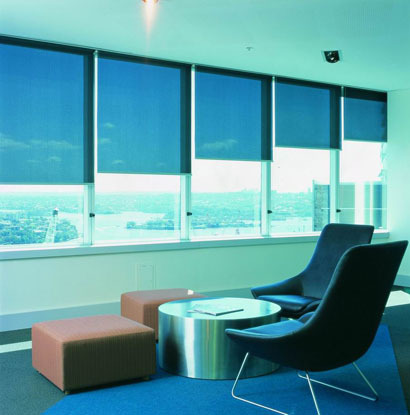 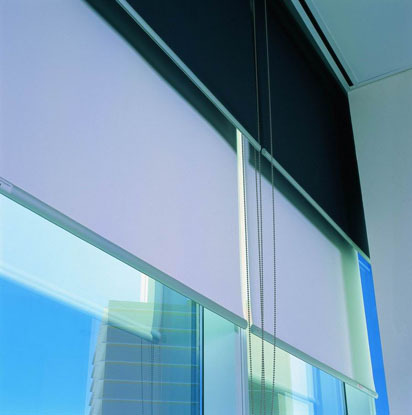 Two boardrooms used opaque fabric to provide light control and enhanced privacy as needed.